ORDER WITH THIS OPTION TO HAVE THE HARDCOVER VERSION OF THE BOOK SHIPPED TO YOU IMMEDIATELY. If you prefer to order a digital PDF for immediate download, please click here. Buy signals occur when fear is high, and short selling signals on stocks and ETFs occur when greed is at its greatest. Throughout this book you’re going to do exactly as the books title states, you’re going to buy the fear and sell the greed. And the main reason you’re going to do this is because there are quantified behavioral edges that occur over and over again for you take advantage of. 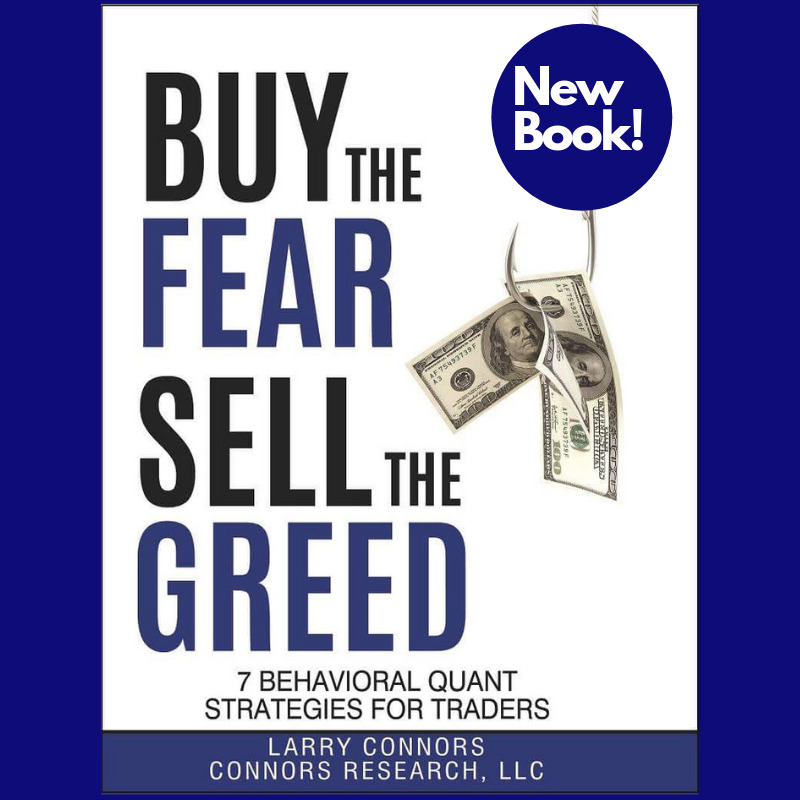 The cost of Buy The Fear, Sell The Greed is $49.95 ($29.95 if you order before April 14, 2019 – you save 40%). We’re so sure you’ll learn new strategies and new ways to trade from this book that we will give you a 60-day money back guarantee. Read the book, apply the strategies and if you are not 100% satisfied, return the book for a full refund. No questions asked. This is our way of showing you how confident we are that this book will significantly improve your trading.